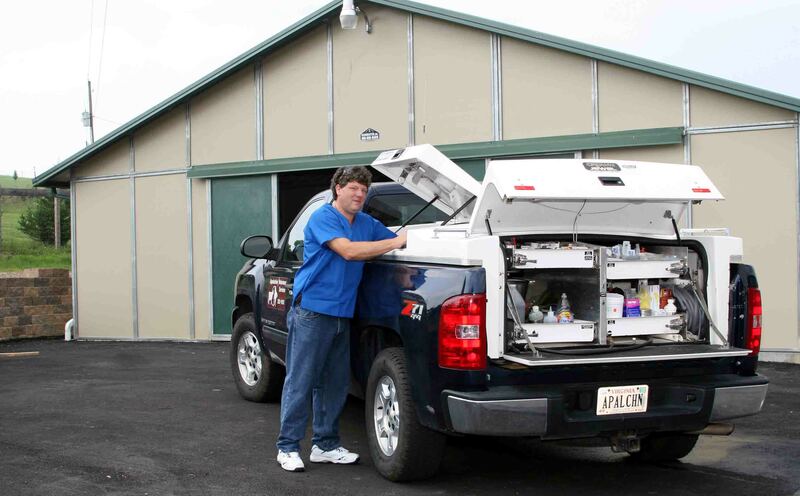 Dr. Kent Adams | Appalachian Veterinary Services, Inc.
Dr. Kent Adams was born and raised on a dairy farm in Whitethorne, Virginia, a small rural community that was swallowed whole by Virginia Tech’s Kentland Farm and urbanization in the 1980’s. The practice has grown to five full time and one part time veterinarians today, but still prides itself on the unique character, personal service, and high standard of care that have made the practice an icon in the community. Dr. Adams has special interests in equine dentistry and advanced reproductive medicine.